Bobby Hutcherson is/was one of Jazz’s finest exponents of the vibes and marimba and definitely one of its most explorative. 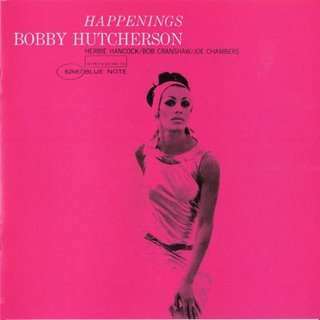 ‘Happenings’ is also one of the strongest albums Bobby Hutcherson recorded for Blue Note. ‘Aquarian Moon’ starts the set off in typical mid 60’s Blue Note vein, whilst ‘Rojo’ adds a Latin flavour. 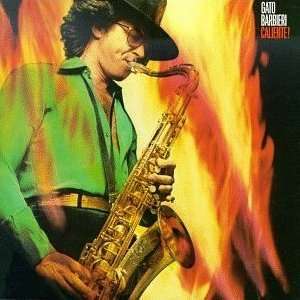 Hutcherson’s version of ‘Maiden Voyage’ is a wonderfully crafted interpretation on which both Herbie Hancock and himself add a touch of beauty. In addition to pianist Herbie Hancock, Bobby Hutcherson is joined by Joe Chambers on drums and Bob Cranshaw on bass.